The 2012 MONOPOLY Game is available at participating McDonald’s restaurants in the U.S. starting Sept. 25 through Oct. 22, or while supplies last. Players can peel Game Pieces from select menu items to collect property sets or Instant Win prizes and then enter Game Piece Codes at www.PlayatMcD.com. 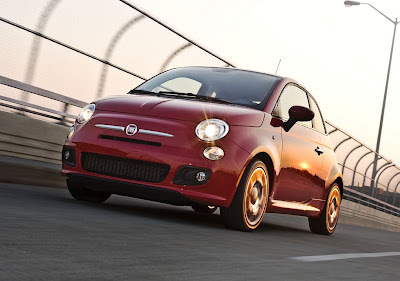 In all, participants will have a chance to win one of 31 2013 Fiat 500 vehicles -- 20 in-store, 10 online and one in the Grand Prize Sweepstakes online. Starting Sept. 25 through Nov. 3, players 13 years and older can enter McDonald’s Game Piece Codes at www.PlayatMcD.com to determine if they have won a prize in the online Game. Plus, with each Online Game Play, a participant will receive a virtual house, (valid for entry in one of three Sweepstakes), and with every fourth house the participant will receive a virtual hotel for an entry into the Grand Prize Sweepstakes for the chance to win a 2013 Fiat 500. During the Sweepstakes promotion period the FIAT brand will be giving a unique FREE Code via all FIAT brand social media outlets and the brand website, allowing participants to register for the Online Game and receive a virtual house. The MONOPOLY Game at McDonald’s is open to residents of the (50) U.S. and D.C., Canada, Guam, Saipan and Puerto Rico. The Online Game is open to residents of the (50) U.S. and D.C., Puerto Rico who are 13 years of age and older. For complete details and Official Game Rules, visit www.PlayatMcD.com. NO PURCHASE NECESSARY. Games subject to Official Rules at participating McDonald’s restaurants and at PlayatMcD.com for complete details. Void where prohibited. McDonald’s and the Golden Arches logo are trademarks of McDonald’s Corporation and its affiliates. You must be in it to win it - McDonald's Game Piece 2012 - Fiat!